Lauding the tenacity of UK-based jewelry designer, Niki Calvert, in creating these incredible cuffs and bracelet for her brand, Nix Jewelry. 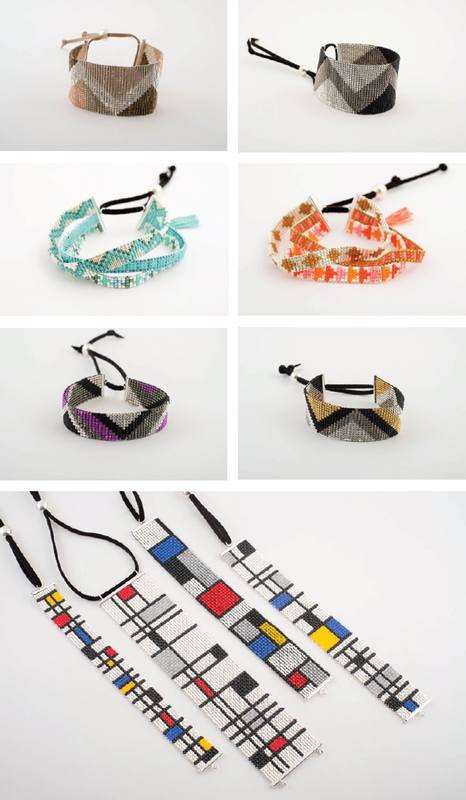 The artist hand weaves over 2000 pieces of tiny Japanese Miyuki glass beads to create just one bracelet. Really loving the geometric patterns and color combinations of her creations. Images: Courtesy of Nix Jewelry.